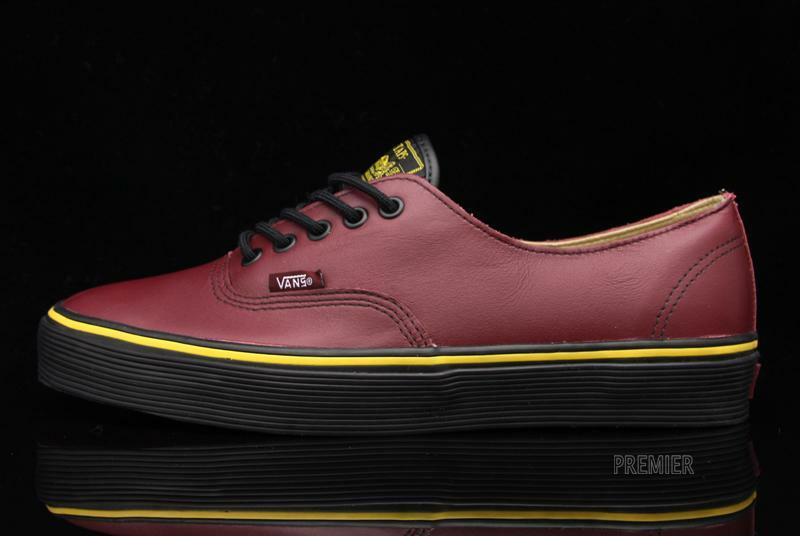 Closer look at the upcoming VANS Syndicate x WTAPS Holiday 2010 Collection. 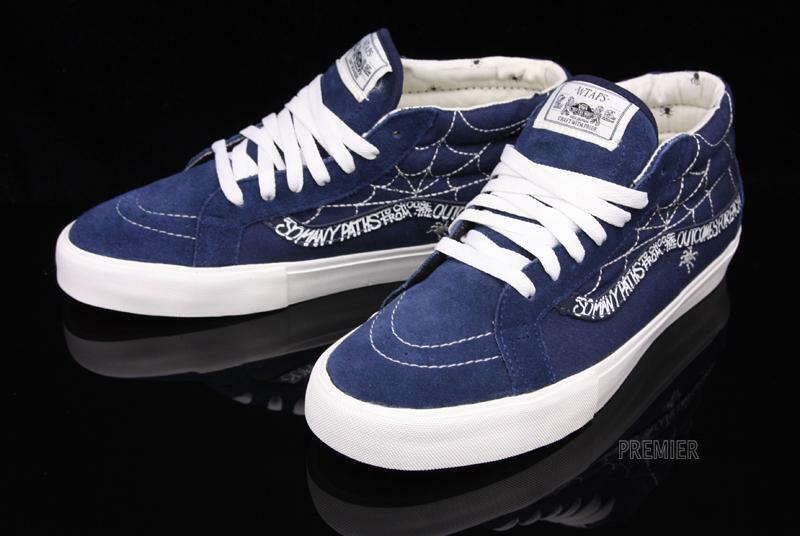 First previewed last month, we now have a full look at the upcoming VANS Syndicate x WTAPS Holiday 2010 Collection. 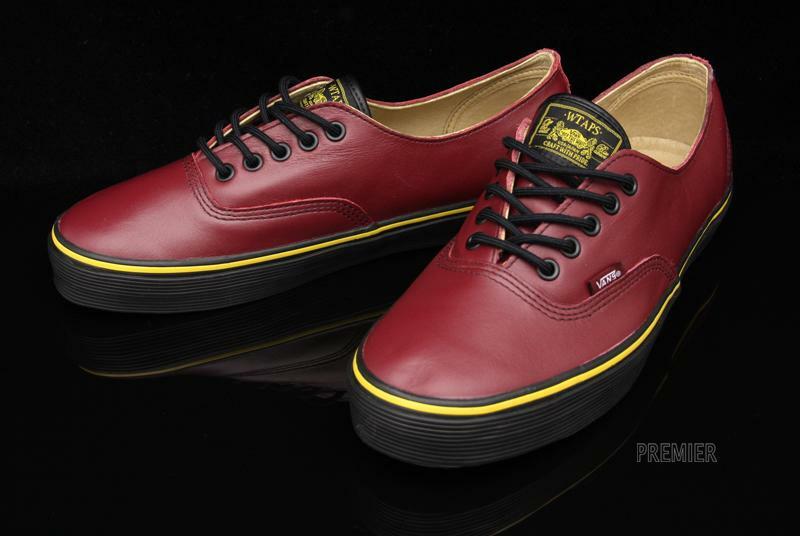 Four collaborative pairs are set to release, with the two pairs of the Authentic giving us that Dr. Marten type of feel. Two pairs of the Sk8-Mid are also included, each arriving in colorways seen on past WTAPS collaborations. The Sk8-Mid will be available in black and navy suede builds, with each pair sitting on a complete white vulcanized sole. 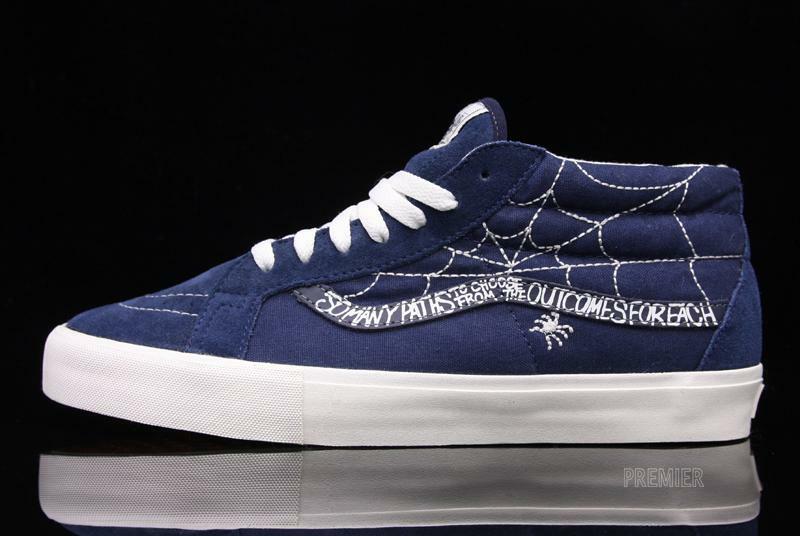 Spider web stitching works the upper of each, along with VANS x WTAPS branding taking place on the tongue. 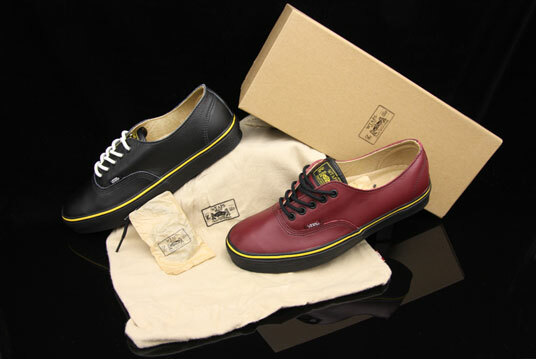 As for the Authentic, each pair makes use of a premium leather in either black or brown, working with a yellow foxing stripe that immediately creates the Dr. Marten look. Look for the VANS Syndicate x WTAPS Holiday 2010 Collection to arrive at select VANS Syndicate retailers very soon.